AP-1200A Display: 7 in. LCD screen,chinese/english menu,touch screen operating,real-time display the parameter of treatment status.treatment part,integrated mode,remaining time,truly pressure of every cavity,Inflatable speed e.g. 1.Sleeve can be connected 2 sets 12 cavity and will cure 2 limb part of body simultaneously. 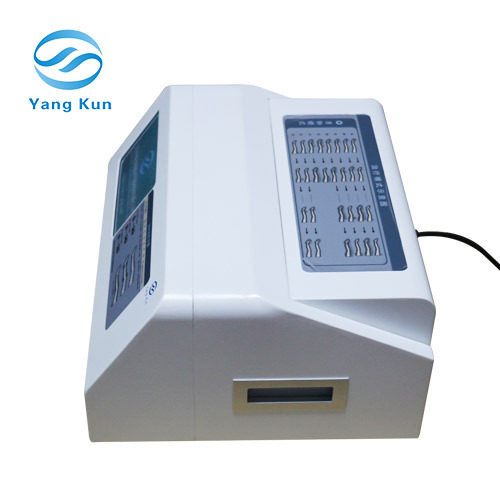 5.Single cavity working mode is adjusted pressure ,real-time monitor sleeve real pressure. zero skipping function,Pressure of any chamber can be adjusted to ‘0’, which allows to skip wounded or fragile body part. 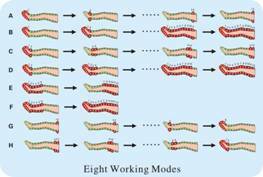 8.Continuous pressure increasing efficiently vein evacuate to ensure velocity of flow of blood in a higher level.